Angela believes that adopting a healthy, active lifestyle starts with small changes and motivation. As those small changes become habits and motivation becomes intrinsic, a lifestyle transformation begins. By setting attainable goals and making fitness a priority, all people can find their inner-athlete. Angela swam competitively for 12 years and was a top age group swimmer in Wisconsin and the Midwest. While attending Northwestern University for both her Bachelors and Masters degrees, Angela began dabbling in the sport of triathlon. She has since completed upwards of 100 triathlons, including multiple Half Ironmans, Ironman Arizona and Ironman Wisconsin. She has had numerous top 3 age group and overall female finishes during her triathlon career. Angela has been involved in the fitness industry for over 15 years. She began as a swim instructor in the mid 90’s and has since grown her resume to include personal training, swim coaching and triathlon coaching- all on an individual and group basis. 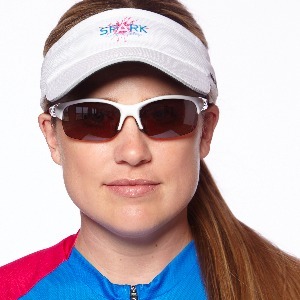 Her certifications include USA Triathlon Level 2 Coach and NASM Personal Trainer. When she is not running, biking and swimming, she is taking care of her daughters, Alexandra and Olivia. Success. Coach Angela Park has been notified of your message. To hire Angela Park as your coach, select the coaching service that is right for you.